It’s not what you look at that matters, it’s what you see. There is no fixed reality. You and I may be in the same place, at the same time, doing the same thing yet our experience is entirely different; each of us has our own perception of the world. If you want to change what shows up in your world, you have to change how you perceive or ‘see’ your world. Here are 3 steps to help you. Look at what is around you. Look at your life, take out a magnifying glass and really look at who you are, what you do and how you have created your reality. You will need to take off those rose-tinted spectacles too! Decide to see what you look at differently. For example, you are looking at the trunk of a tree, it’s brown, or is it? When you examine it carefully, you see a myriad of different colours – green, grey, charcoal, yellow, orange, russet… but no brown. Choose to see every tree trunk differently. From now on, choose to look and see all the wonderful colours and appreciate the beauty of the whole. 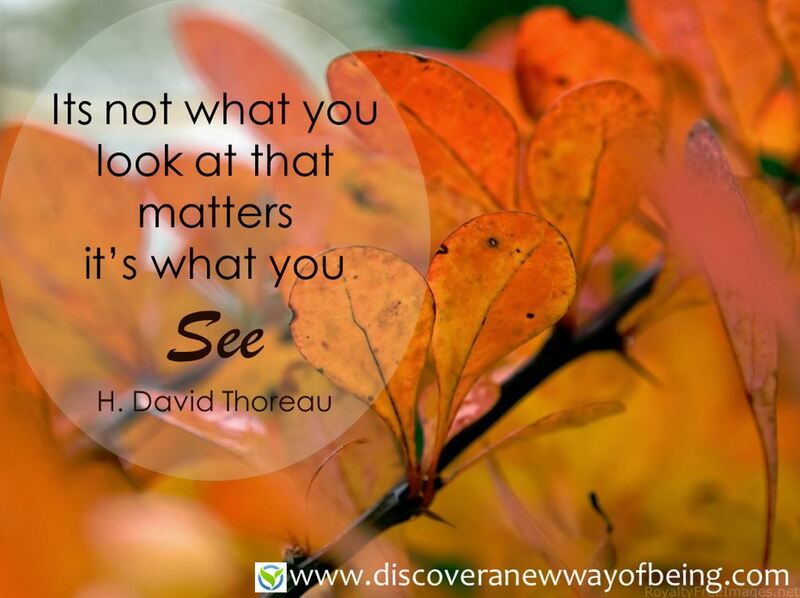 Do the same with your life – choose to see it differently. Choose to let go of thoughts and ideas that no longer serve you, judgements that enslave you, misconceptions that keep you paralysed and stuck in your world. Choose to look, see and be different.